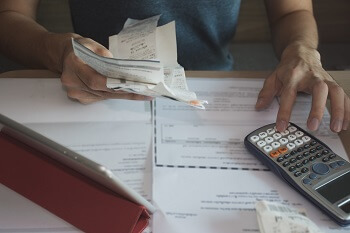 A recent survey conducted by CESI Debt Solutions in Raleigh, North Carolina reports that over 40% of seniors have accumulated debt in their retirement years with absolutely no plan to repay it before their deaths. Elder law attorneys across the nation can tell you horror stories about senior debt - stories about the adult children of a deceased client who walks into their office with a handful of letters from creditors, all making claims against their parents. This leaves many children wondering what their rights and responsibilities are as inheritors of their parent’s estate. The short answer is no, you cannot inherit a loved one’s debt in North Carolina. The only exception to this rule is if you are a co-signer on one of their loans (car payment, mortgage, etc.). If you co-sign a loan, you are strictly liable for the debt that the deceased still owes to the creditor. Please note that authorized users of an account have a different status than co-signers. Authorized users may have been given permission to use a credit card, for example, but they are not responsible for any of the debt incurred. the remainder of the estate is divided up among the inheritors. As you can see, there are many steps that your loved one’s estate must pass through before the assets are passed to beneficiaries according to the deceased’s wishes. While you might not inherit their debt, the law requires that all creditors are to be repaid first. If your loved one has incurred substantial unpaid debts then it is possible that you will not inherit anything. How Can I Protect My Own Assets from Creditors After I Die? This piece of legislation offers protections for heirs. One provision is that creditors cannot continue to charge late fees or annual fees when the estate is being settled. Your family should educate themselves about this law because the probate process can last anywhere from six months to a year or longer. During that time, every late fee and annual fee being tacked on to the account bill is eating away at the value of their inheritance. ERISA-covered employee retirement accounts, such as a 401(k), have named beneficiaries. This means they do not pass through the estate and thus, they are not subject to probate proceedings. Make sure that your family has a general gauge on your financial health and any substantial debts you might have. This conversation can make the probate process significantly easier and less stressful for them to go through in the sensitive days after you pass away. If you have any additional questions about senior debt or inheriting debt, please call our office at (919) 443-3035 to schedule a free phone assessment or contact us online. At the end of the call, you’ll know the next step and at a minimum, we’ll point you in the direction of resources that can help you. There is no obligation to you. The assessment is completely free.